Having decided that you want to acquire a Labrador, be selective in your search. Do not act impulsively; seek professional guidance from your local vet or dog training club, and choose carefully according to this advice and your lifestyle. Any purchase should incorporate a veterinary examination. Consult a veterinarian vets and their staff can provide unbiased information on what too look for in healthy Labrador Retriever. They are usually aware of any prevalent medical problems or behavioral idiosyncrasies, and their advice is always free of charge. Inquire at local dog training clubs contact a local dog club for guidance on how to find a trainable Labrador. Trainers can often also recommend breeders who produce dog specifically for field work or showing. While gender and coat color partly determine a dog’s temperament, so do breeding lines. Select a dog that fits into your daily routine both now and as you foresee it in years to come. Labradors are large, energetic dogs, needing lots of exercise and mental stimulation. If you are new to the breed, talk to other owners about their dogs and try to spend some time with one. If you have a family, all decisions on buying a dog should be made together. Buying a pure - bred puppy although puppies are undoubtedly appealing, they are also extremely lively and demand plenty of attention; be prepared! 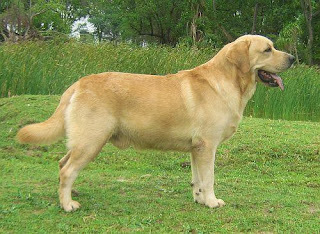 Reputable breeders are the best source for Labrador Puppies. Visit several litters before making your choice, and not the physique and temperament of the mother and, if possible, the father too. Resist the temptation to buy the first puppy that takes your fancy. Animal shelters always have dogs needing good homes. A rescued Labrador is more likely to have behavior problems, notably destructive activity when left alone. Yet, “recycled” dogs can settle in and make loyal, affectionate companions. An adult rescued dog may be a good option if you want to avoid the bother of house training a puppy, and are willing to cope with any unexpected personality quirks. Make any purchase conditional upon your vet’s confirmation that the dog is healthy, with no sign of infectious disease, malnutrition, or parasites. Breeders should provide documents verifying that a puppy’s parents are free from a variety of hereditary disorders. By law, if a puppy is not healthy at purchase, you are entitled to a refund or a replacement. It is wise to place a similar condition on the purchase of an adult dog regardless of the source. Whenever possible, buy your dog directly from a reputable breeder, either professional or amateur. Avid puppy farms or mills, as they often provide inhumane environments for mothers are give little attention to the puppies’ health. Newspaper advertisements can sometimes be fronts for mills; be suspicious if when visiting a private home you cannot sett the litter’s mother. Be wary also of pet shops; they can be fertile environments for a variety of infectious diseases, and may supply you with an unhealthy specimen purchased from a puppy mill.